I’ve had to let my blog go the past week or so. I’ve reblogged some of my favorite blogs on topics near to my heart, but I haven’t been able to find the time or inspiration to concentrate long enough to put out a thoughtful post. I’m juggling three projects right now so that’s my excuse. I keep thinking I’ll find a way to put one of them aside. I’m impressed with my colleagues who manage a daily blog and still manage to write books. I’m lucky if I can produce a blog two times a week. When I published Live from the Road on Kindle, I didn’t realize the amount of promoting I’d need to do to sell the book. Nearly 20,000 folks have now downloaded it. Ninety-seven percent of those downloads were done on free promotional days, which are now over. Next week, a media blitz will hopefully draw more folks to actually download it on Kindle for $2.99 or buy the print edition at $7.90 on amazon. I’ve told myself that’s it. I’ve done all I can do at this point. Live from the Road has been sent out into the world. I must move onto my other projects. 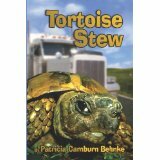 I wrote the novel Tortoise Stew ten years ago. It was published with a publisher – whose name I refuse to promote – in 2006. I decided it was time to edit the book and put it out on Kindle as well. That’s occupied half of my time for the past ten days. I hope to have it up on amazon early next week, in time for Live‘s media blitz. All the experts keep hammering the point that indie authors, such as myself, need to have more than one book out. I’ve enjoyed reading Tortoise Stew once again and revisiting the chaos of Florida politics and development and land grab at any cost. The same artist (Travis Pennington) who designed Live‘s cover is currently redesigning the cover for Tortoise Stew – I should have it in a few days. Finally, I’m working on the second draft of my new novel Trails in the Sand. It’s going well, but I’ve decided to change point of view from one person (first person) to three people plus short narrative chapters on the environmental issues at play in the background. I find working on the two novels at the same time helpful, which surprises me. I’m pleased the messages in Tortoise Stew are the same ones I believe today and try to incorporate in everything I write. I love the love story in Tortoise Stew. I wrote it imagining the ideal love relationship I yearned for at the time. Guess what? A decade later I’ve found that with my new husband, Robert. It’s uncanny when I read scenes I wrote ten years ago and realize they are now reality. When I’m not absorbed in my writing world, I tend the produce from our garden. Every night we’re eating mostly fresh vegetables. Last night we had cauliflower and beets. 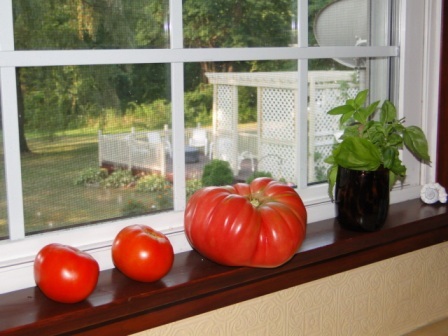 The tomatoes are piling up on the windowsill so next weekend I’m sure I’ll be canning sauce and dreaming up scenes for Trails in the Sand, while Live from the Road and Tortoise Stew sell themselves on the Internet. Why not? I’ve turned my dreams into reality before. in May. 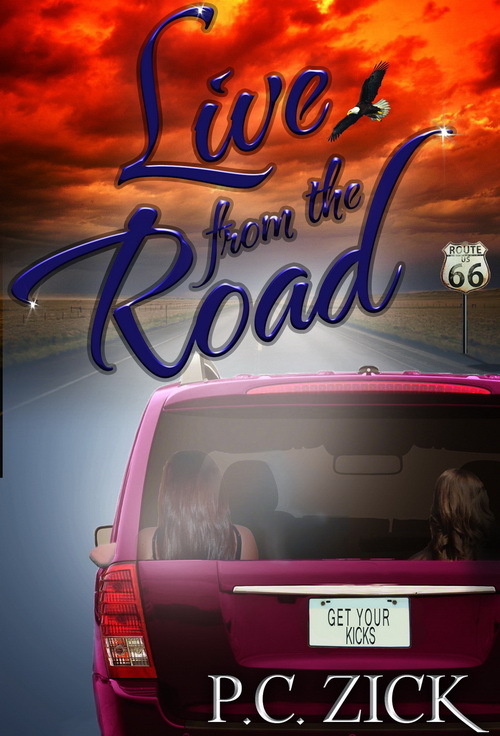 This program allows the author five promotional days in which to offer the book “free.” Today, July 27, is the last day for Live from the Road to be free. If you haven’t already downloaded a copy, consider doing it today. After midnight, the price goes back to $2.99. Live from the Road has received twelve reviews so far with eleven of them ranked 5*. I hope you’ll take the time to check it out on amazon. A print version is also available if you still like to hold the book in your hands and turn pages. Don’t forget to always get your kicks! Important message here, folks! Please share. ABC News reported that there is a link between the antibiotics that conventionally raised chickens receive as a standard item in their diet and the increasing number of urinary tract infections in women that are not easily controlled. The bacteria (e-coli ) has become resistant to typical antibiotic treatment. 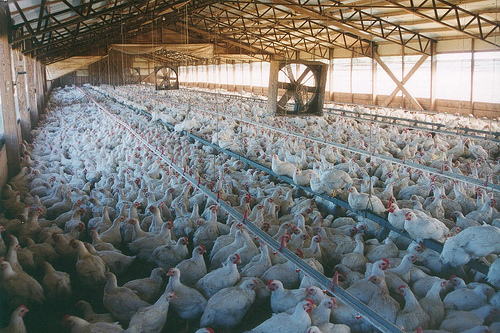 Why are antibiotics a part of conventional chicken farming? Antibiotics have been used since the late 1940s to help offset disease in the overcrowded conditions found in conventional chicken houses. One unexpected side effect of using antibiotics was that the birds actually grew faster. 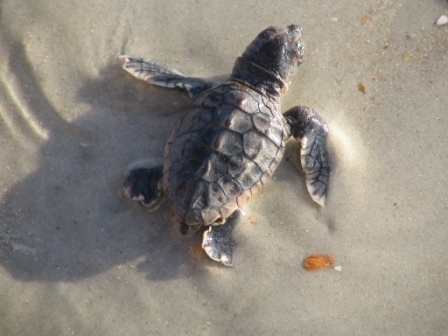 With the birds growing faster, they can be processed at a younger age, reducing costs. Those reduced costs, however, are only to the corporations who own the farms, not to the consumers. This goes along with one of my recent blogs. Thanks to Dr. Liebler for sharing. Mitch Albom is a columnist for the Detroit Free Press. He is also the author of several best selling books. Do you remember hearing about, or perhaps reading his first book Tuesdays with Morrie? 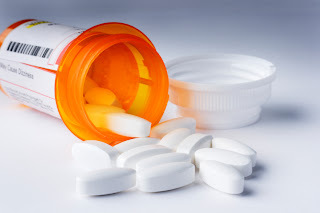 Yesterday Mitch’s Free Press column was titled Pills-a-poppin’: Our medication nation. The title informs us of the content. 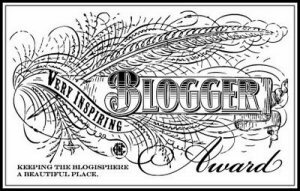 I’m very grateful today to announce that one of my favorite blogs has nominated me for the Very Inspiring Blog Award. 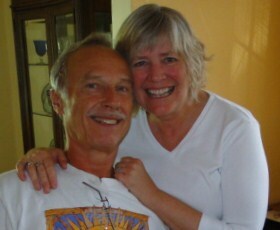 Faithrises inspires me with each post, so it is an honor to be nominated by this blog. I don’t feel all put together unless all my underwear matches my outerwear. I pumped gas for one day back in 1973 at a Sinclair gas station. I am the baby of my family (and the only girl). My brother was signed to the Detroit Tigers in 1966 and played in their minor leagues for two seasons. I was a Trash Trooper in Gainesville, Florida, and issued tickets to people who littered. My nominations for the Very Inspiring Blog Award – I chose the following blogs for different reasons, but all because they inspire me in some way. 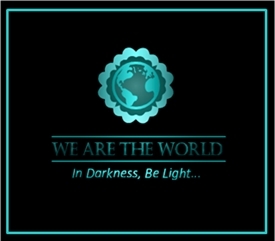 A few provide very helpful tips and suggestions for living lightly upon this earth (the theme of my blog). Some simply give me inspirational words of wisdom as I begin my writing day. Others offer insight into the writing life, making me feel less alone in this isolated career. And others I love because they give support to all of us independent authors just because they believe if we support one another, we all succeed. Thank you all for the good work you do. Here are some good tips from the blog, “What’s Green with Betsy.” Check out her blog – she offers some good common sense tips for living lightly. According to a report from the National Climatic Center in Asheville, NC and the Huffington Post, “The nation’s widest drought in decades is spreading, with more than half of the continental United States now in some stage of drought and most of the rest enduring abnormally dry conditions.” As I write this post from my farm on Cape Cod, the thermometer says 88 degrees (though it feels even hotter), much of my lawn looks brown and my flowers, vegetables and normally hearty hydrangea look wilted. And there have been many days this summer just like this. It starts innocently enough. 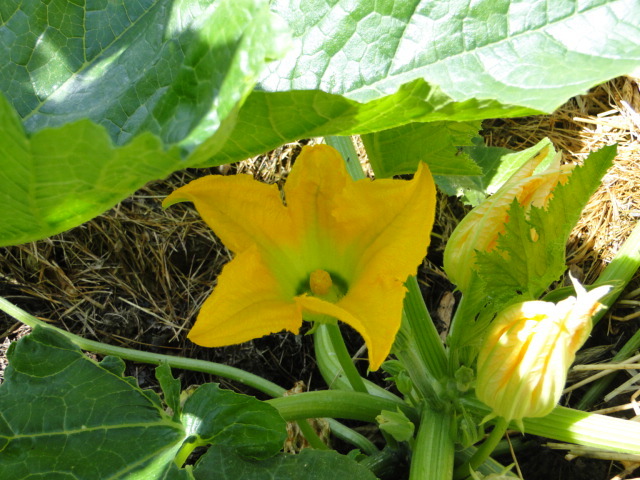 The beautiful blossom and then a medium-sized zucchini perfect for quartering and putting on the grill with other vegetables appears one day in the garden. A few more are on the vine the next day. Then one day (like yesterday), I go to the garden and zucchini bats have appeared. That’s precisely the reason I self-published my first book thirty years ago, which seems impossible, but true. I was living in Ann Arbor at the time and had a small rooftop garden. I was growing zucchini, tomatoes, and peppers in large containers. Before I knew it, my small efficiency apartment was overcome with the green bats. 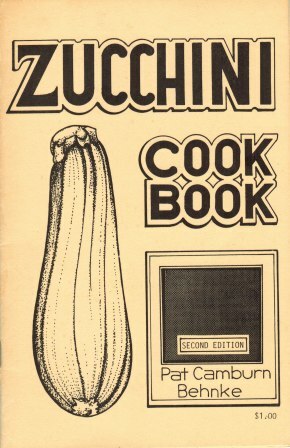 Everywhere I went that summer, folks were saying they didn’t know what to do with their zucchini. 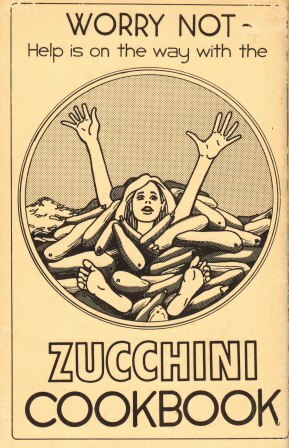 So I wrote recipes, and my ex-husband (Larry Behnke) drew illustrations for the Zucchini Cookbook. I sold out the 200 I printed by the end of the summer (for $1 each!). I still use that cookbook today. 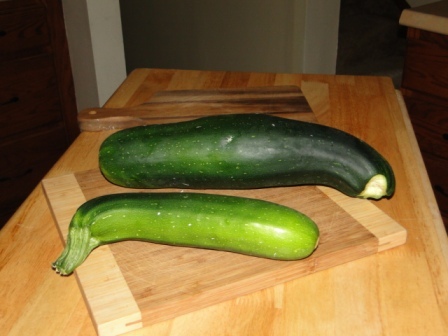 With the advent of e-books, it may be time to resurrect and revise and publish.Today, I offer two suggestions for using surplus zucchini. The first is a modified and revised version of a recipe from my thirty-year-old cookbook. Sauté onion in olive oil until tender. Mix onions, dry ingredients and herbs. Add milk and eggs and mix vigorously until well blended. Fold in zucchini and cheese. Spread in greased and floured round pan and bake at 375 degrees Fahrenheit oven for approximately 35 minutes. Cool slightly and remove from pan. [Note: I made my batch using small bread pans – this recipe made six small loaves. We ate one and froze the rest.] And finally, I offer a life-saver of a recipe that comes from my husband, Robert. 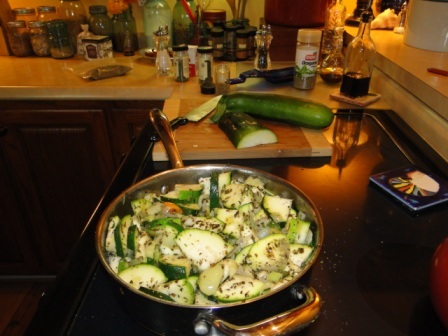 Zucchini Mess or Soup Starter – Chop up zucchini, onions, garlic, peppers, yellow squash (whatever you have!). When tomatoes come in you can add chopped tomatoes, too). Add herbs of your choice, fresh and/or dried. I tend toward the Italian variety. For this batch I used fresh basil, dried oregano, thyme, tarragon and a good Italian dried herb mix. Salt and pepper to taste. Saute until just tender, but not overcooked. Cool and bag in two-cup portions (or whatever amount you’ll use in one recipe). During the winter months, when I want to start an easy soup in the crock pot, I pull out a bag and I have the “starter” ready to go and just add the other ingredients to make any type of soup you can imagine. I’ve also used it in chicken and seafood recipes. Bon appetit!